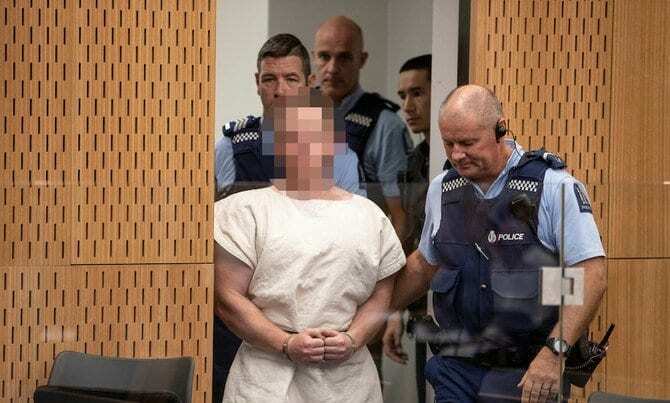 The man apprehended after shooting 50 Muslim worshippers in a Christchurch mosque in New Zealand has been ordered to undergo psychiatric tests to determine if he is mentally fit to stand trial for murder. Survivors and relatives of those killed in the March 15 attacks were packed into the courtroom as the gunman Brenton Tarrant appeared via audio-visual link from a maximum-security prison in Auckland. The Judge ordered the psychiatric evaluation as the gunman sat with a nonchalant look on his face. He seemed unfazed by the remarks of the judge, despite being charged with 50 cases of murder and 39 attempted murder charges over the shootings at two mosques. High Court judge Cameron Mander ruled during the brief hearing that the 28-year-old would be examined by two health assessors to determine “whether he is fit to stand trial or insane”. Tarrant is a white supremacist and during this trial, the family members of the victims, hope the case will determine where and how he was trained and if he operated as a lone wolf or part of a wider Islamophobic operation, led by higher powers sat motionless throughout the hearing, listening intently to proceedings. Tarrant has not yet entered a plea and was remanded in custody until his next court appearance on June 14.